Hey guys, its that time of year again! 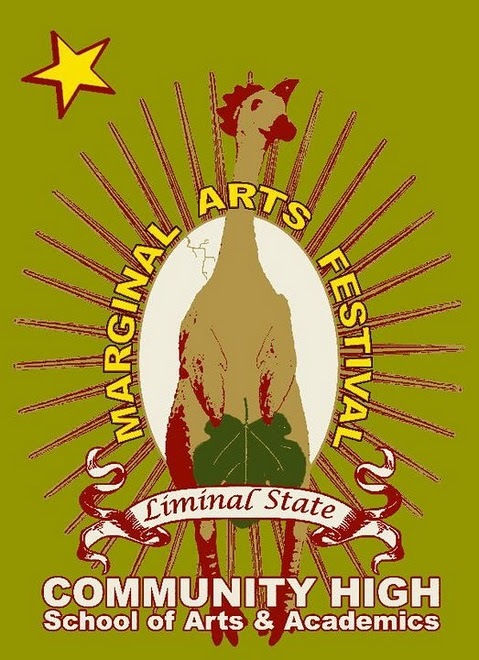 The Marginal Arts Festival is set to start on March 3rd and run through the 8th taking place all throughout the town. Here’s a list of some things taking place that week, some Marginal and some you should just know about period! What’s there to do on a Tuesday? How about a show at the Bazaar?! 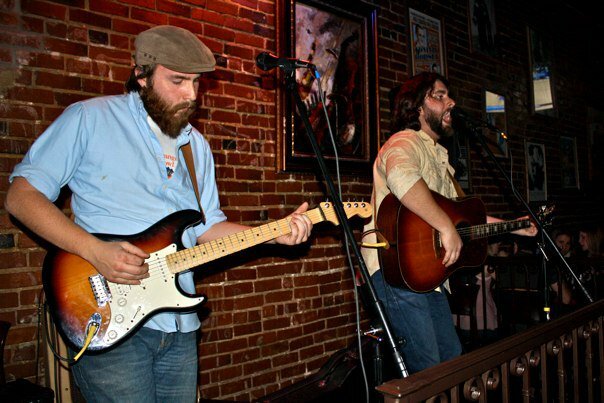 On March 1st Roanoke folk duo the Delta Function play the popular venue with two acts from Richmond. 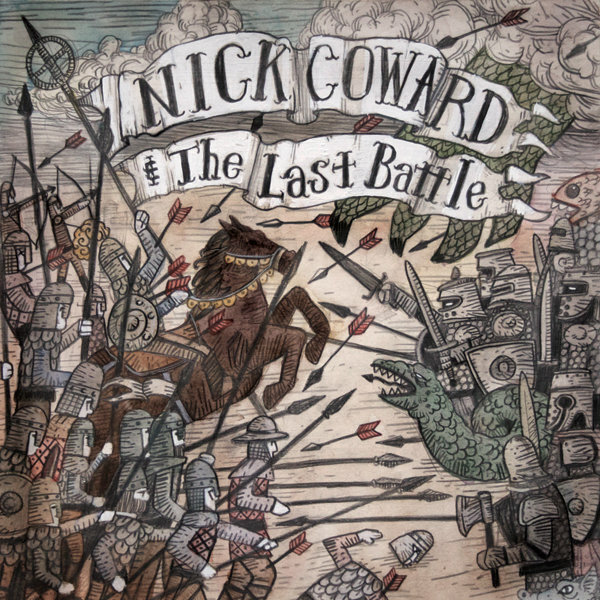 Andy Cobb of the Itchy Hearts will be performing as a part of his tour. 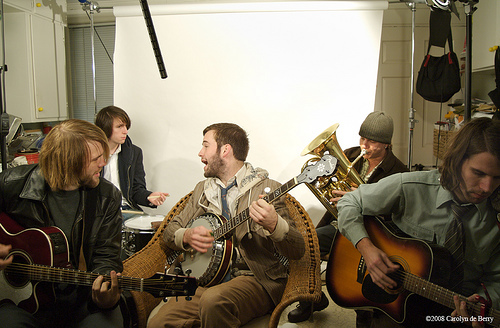 Also along for show will be the River City Ramblers (not to be confused with Roanoke’s own Riverbank Ramblers). This show will start at 9pm and cost you $5, get there early! 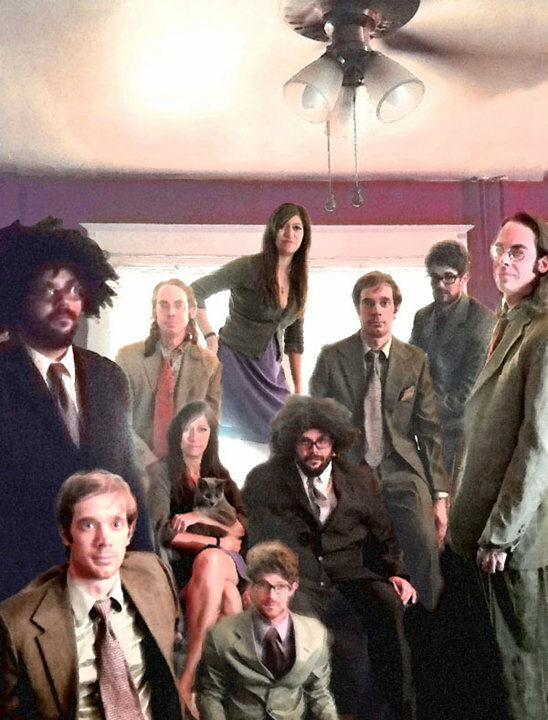 On Thursday (3/2) the Awful Arthur’s at Towers brings the Holy Ghost Tent Revival to Roanoke. 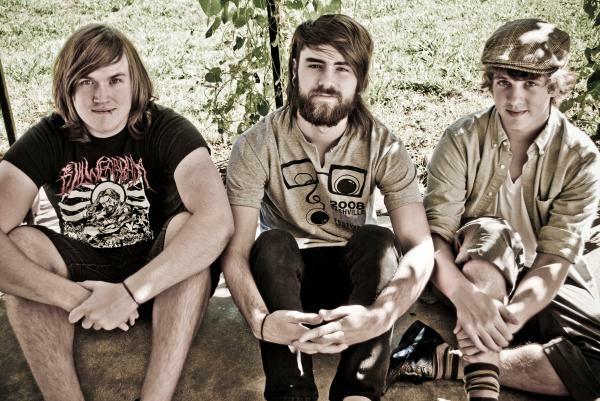 The North Carolina band has earned quite a reputation scoring spots on many top shows and festivals including last year’s Floyd Fest. 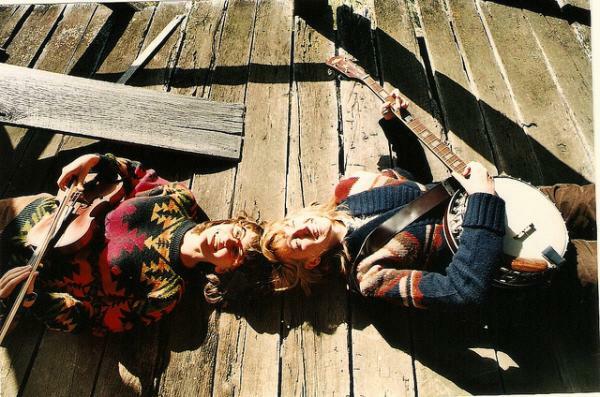 Known for their energetic shows, harmonies, and on stage banter the group is quite a sight to behold! Doors open at 7pm with the actual show starting at 9pm, 21 and up only. “An interactive performance and visual arts event documenting mankind’s illustrious past of space exploration. 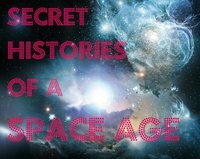 Secret Histories of a Space Age delves into all of our final frontiers. It shows us where we have boldly gone and where we hope to go. This is the history of all of us; real or imagined, fan-based or original. Let us freeze dry all our food and pretend there is no gravity and try not fall into black holes. This event starts at 5pm and runs til 9pm, all are welcome! 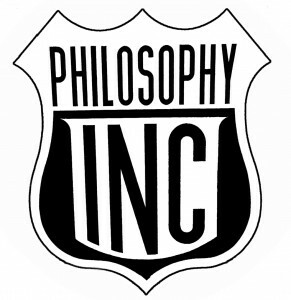 Also on Thursday is Philosophy, INC Probes Roanoke event at the Taubman Museum of Art. In what some are viewing as the first time the museum is embracing its role as a community forum for the arts. Showcasing local artists, outsider art, local celebrities and the avant-garde of Roanoke. The goal for all of this is to bring together many diverse types of the Roanoke community and have local artists portray how they see the community. There will be many different kinds of fun activities for all including Roanoke band the Circus Practice playing around 6pm. This is a Marginal Arts event. Starting at 6pm on March 3rd this exhibit will run the whole month at the Taubman. 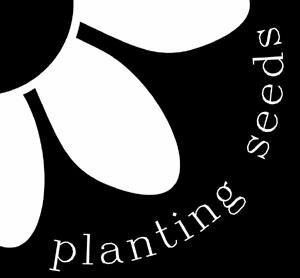 Adding to the events kicking off the Marginal Arts Festival is an event hosted by the Elanor D. Wilson Gallery at Hollins University. Drive By Press is an artistic venture taken on by Greg Nanney, Joe Velasquez and their 14th century printing press. The two have been on and off the road since 2005 taking their printing press all across the nation to share art with various communities. For those who get to witness this undertaking learn about the history of printmaking and get a piece they can call their own. These demonstrations will start the 3rd & 4th at 10AM. Lectures on printmaking and the history of Drive By Press will start on the 3rd & 4th as well at 3PM. Rounding out the Thursday happenings is a non-Marginal Arts show. 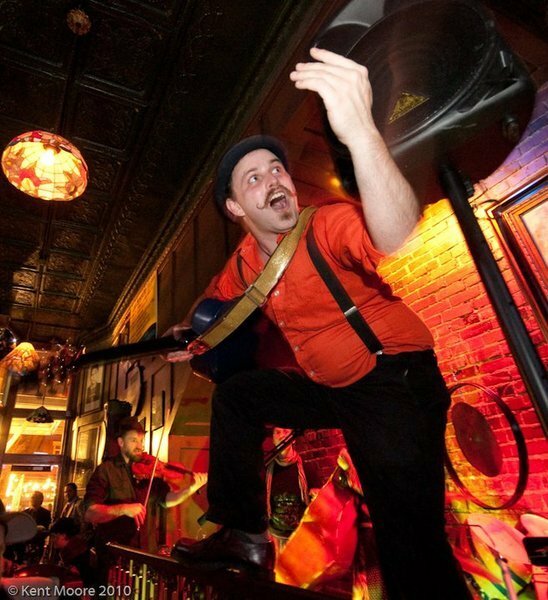 Roanoke favorite Another Roadside Attraction will be playing Studio Roanoke with Michiganders, Jake Simmons & the Little Ghosts. This show should be a fun one as Another Roadside Attraction always manages to provide a good time! Starting at 8pm and only costing $5 at the door! Kicking off the Friday events for all things Marginal is the Labyrinth Revue! Taking place at the Metropolitan Community Church of the Blue Ridge the revue features an eclectic line-up of local and national artists. Featuring Mark Perry of Heevahava, No Shame Theatre, Another Roadside Attraction, the experimental poets known as the Be Blank Consort, jazz & classical music by Music After Midnight musicians, Cathy Fisher & Mo Aulick, Carol Burch-Brown & Ann Kilkelly and singer Sidney Vaught. The performance will start at 7:30pm and run til midnight. 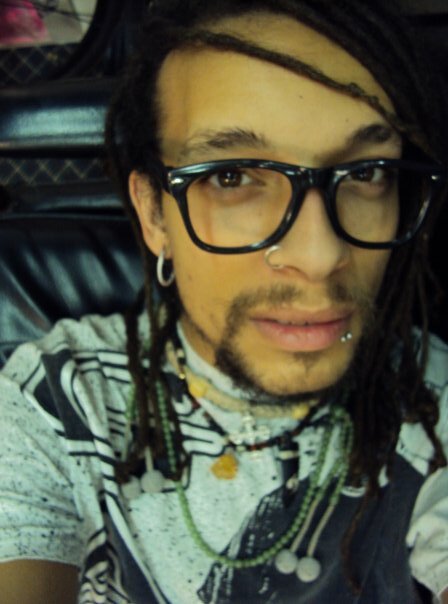 Also on Friday at the Bazaar local hip-hop artist Fiyah Works will perform with producer/DJ, Magnetic. Known for her sass and energy as a performer Fiyah has developed a large-sized online following through Facebook and Reverbnation. Come out to the Bazaar on Friday the 5th and find out why. Show starts at 9pm, $3. Starting the Saturday MAF events is the 3rd Annual Marginal Arts Parade starting at noon. The parade will be starting at the intersection of Campbell and 2nd downtown in front of Community High. Parade organizers invite everyone to join this parade procession, just show up in front of Community High at 11am. Their will be special guests accompanying the parade route this year which the Marginal Arts are proud to have along, the Bread and Butter Puppet Theater Group. If you are interested in volunteering the puppet show needs thirty volunteers alone! This is said to be a great time with the route ending at the Taubman Museum of Art where the Absurdist Street Carnival will greet paraders. For those with little ones feel free to bring them out and follow the parade down to the carnival where there will be many fun events for all ages. Some of these activities include an inflatable bouncer, Stuffed Animal Re-purposing station, visual poetry station, a Cabaret Voltaire sound booth, puppet-making station and more! Performers include Staten Island performance artists Day de Dada, Fluxus artists Keith Buchholtz and Reid Altenus, Bread & Butter Puppet Theater Group, U.K.-based performance artists Zierle & Carter and the Post-NeoAbsurdist Anti-Collective performing traditional Punch & Judy pieces. Feel free to dress to your oddest and come out to celebrate the arts with the 3rd Annual Marginal Arts Parade & Absurdist Street Carnival! It all starts at noon! Also while you’re at the parade/carnival make it a point to swing by the Shadowbox‘s Community Bake Sale! Starting at noon come and enjoy baked goods made by your community at reasonable prices. Feel free to donate any baked good of your chosing to go towards the sale. Also feel free to stop by and volunteer you time! The proceeds go toward a special project the Shadowbox is trying to put together for Roanoke. All unsold baked goods will be donated at the end of the event. Later on that evening join the Shadowbox crew as they present one of the worst horror films ever made, Troll 2. Known for being nothing like the first Troll because this sequel features goblins instead of trolls that are from the town of Snilbog (goblins spelled backwards) no less! This film is full of laughs although they may be unintentional. Written and directed by Italians, delivered in broken English by Americans and featuring dwarfs in burlap sacks with latex goblin masks this film easily deserves a viewing! So visit the Shadowbox during the day for their bake sale then stick around for Troll 2! This “film” starts at 8pm. Adding to Saturday’s huge line-up of events is one of the few non-Marginal activites that night. Roanoke locals Life In A Foxhole celebrate their newest release at Grace Covenant Church. Joining them on the bill will be Atlanta, GA band Listener, Nancy & 2 Meteors and the John Barry Conception. Titled the “March Mustache Stache Bash” and set to start at 7pm, $5. Also join the Unicorn Stables Project that Saturday for Sci-fi themed live model drawing. Come draw from life and enter contests to win prizes! 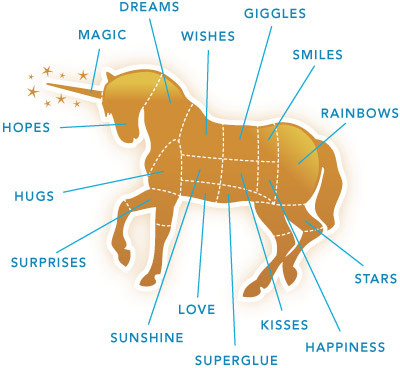 There’s a $7 entry fee for the evening but speaking from past experience at the Unicorn Stables its totally worth it! Starts at 7pm and runs til 9pm. 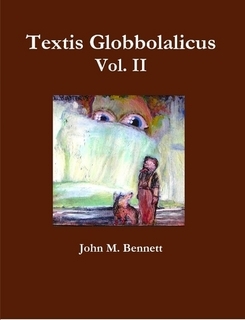 To round out Saturday’s massive amount of madness is a reading of John M. Bennett’s newest book Textis Globbolalicus. This will not be a normal reading however, the group will be reading in their own language of sorts called Globbolalia. Be prepared for something that makes no sense at all! Members of the Post-NeoAbsurdist groups from all around the U.S. will be there reading from the book. There will also be performances by Post-NeoAbsurdists as part of the Flux-Mazz event at the Labyrinth space for the Marginal Arts Festival. This event is taking place at the Metropolitan Community Church of the Blue Ridge starting around 3:30pm and runs all throughout the evening. Thanks to Jovan Rahsman of roanoke revolution for the awesome new felt header at the top of our page!